MP-elect of Kaashidhoo Constituency, Abdulla Jabir says he will submit requests to relevant State authorities seeking assistance to run his pledged development projects in the constituency this Monday. Jabir had contested the parliamentary elections as an independent candidate despite his failure in the internal elections held by Maldivian Democratic Party (MDP) to determine its parliamentary candidate for the constituency. During his campaign, Jabir pledged to run multi-million-dollar infrastructure development projects in the Kaashidhoo Constituency. Jabir, in an interview to ‘Sun’, provided assurance he will deliver on all his pledges, even any he may have made ahead of the campaign. Jabir said he believes he won the election based on the confidence the constituents of Kaashidhoo had on him to deliver on his pledges. “I am working on those projects even now, both in Kaashidhoo and Gaafaru. 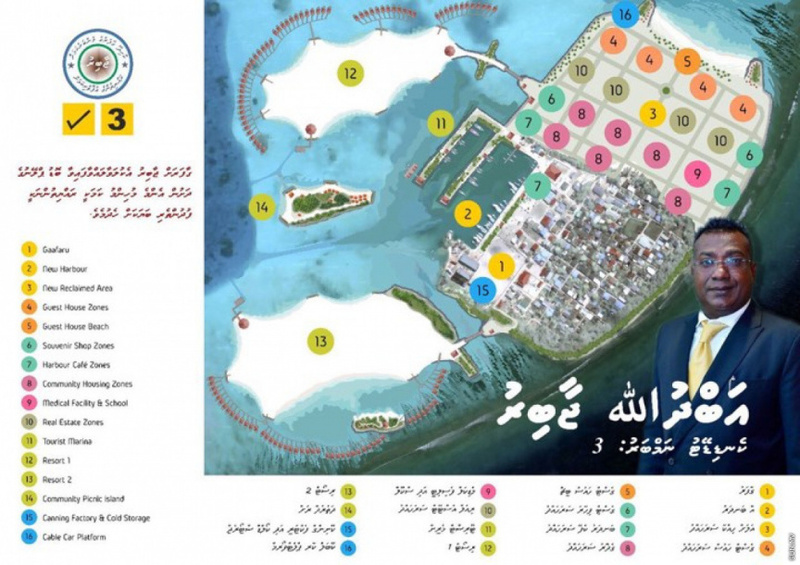 Infrastructure projects and tourism development projects are going ahead at full-speed,” said Jabir. He said he was fully confident of support from President Ibrahim Mohamed Solih for the planned development projects in the Kaashidhoo Constituency. “I am now focused on organizing the work to make the blueprint of my vision a reality. I am about to send the letter to the Ministry of Economy to forward my request to build an airport in Kaashidhoo and to build a resort in the Kaashidhoo Lagoon to the Economic Council,” said Jabir. He said the projects will be initiated as soon as he receives approval from relevant State authorities. He also expressed full confidence in being able to secure the foreign investments needed to run the projects. “What my constituents need to do is give me their cooperation. I was election based on the faith of my constituents after all. I therefore need cooperation from my constituents to run these projects. Cooperation from the councils. Cooperation from the State,” said Jabir. Interim results released of parliamentary elections place Jabir as the winning candidate for Kaashidhoo Constituency. His closest opponent was MDP candidate Abdulla Riffath – to whom he lost during the MDP Primary.